"As I have written before, one of the pressing issues facing our nation and the world before Congress is our concerns with the agreement with Iran that is being put forth by the Obama Administration. "Despite the continual concessions the Obama Administration made to Iran during nuclear negotiations, one concession in particular poses large risks for regional stability and the safety of our allies in the medium-term: the eventual lifting of the arms and missiles embargoes against Iran. "Under the agreement the embargo against arms would be lifted in five years and against ballistic missiles—the kind that can carry a nuclear warhead—in eight years. But it looks like even these small delays are only a parchment barrier without the threat of real enforcement. Even Secretary Kerry revealed, “The arms embargo is not tied to snapback. It is tied to a separate set of obligations. So they are not in material breach of the nuclear agreement for violating the arms piece of it." "I have always said that if Iran ever obtained a nuclear weapon, the world would never be the same. 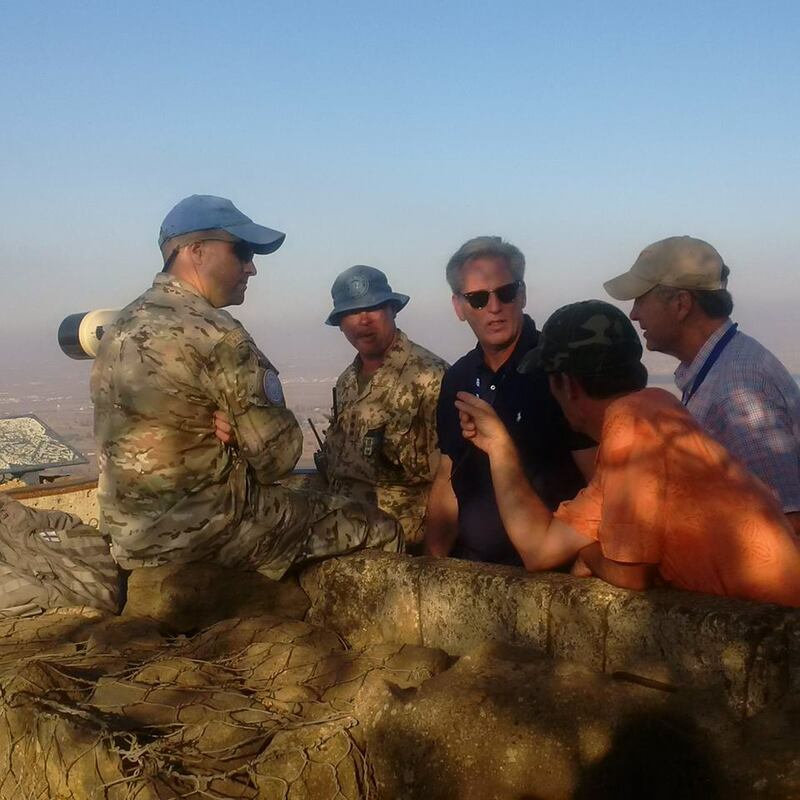 That is why I traveled to Israel this week to meet with Prime Minister Benjamin Netanyahu and other leaders along with traveling to the Golan Heights and other parts of the Middle East to see first-hand what is happening in the Middle East. "We were able to meet with United Nations observers and other military advisors to get the latest updates on our battle with ISIS and the civil war in Syria. While I have traveled to the Middle East in the past, we continue to see a reoccurring theme of what happens if American leadership is perceived as weak. "Earlier this week, we toured an Iron Dome battery, a key pillar of Israel’s military defenses. During the summer of 2014 as Hamas indiscriminately launched rockets at civilian population centers, the Iron Dome protected innocent lives by intercepting roughly 90 percent of Hamas’s rockets. As we visited the towns of Ashkelon and Sderot near Gaza, we saw firsthand that without the Iron Dome, many more people would have lost their lives. Congress stands united with Israel, not only in support of its Iron Dome defenses, but also in preserving Israel’s security and ensuring the safety of its people. In these dangerous times, Israel can always be certain that the American people are by their side.